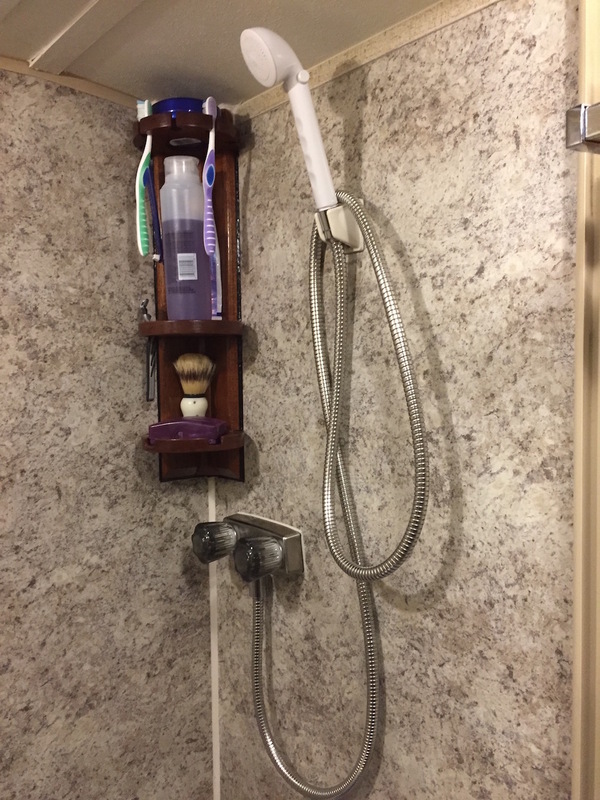 Just getting setup to remove bathroom sink and change faucet/shower valve with non-faucet version. 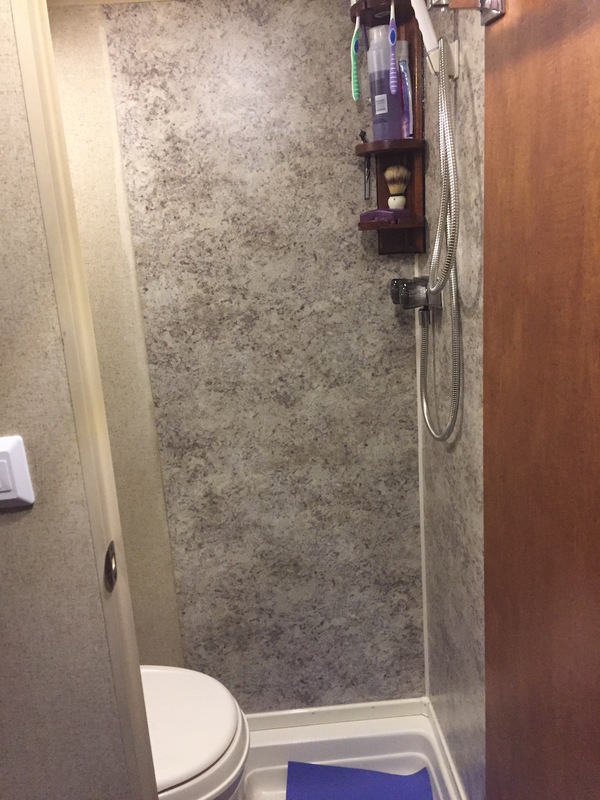 Plan is to use Formica/Arborite sheet about 24" wide to run from ceiling to shower basin to cover sink trap access hole and the various screw holes. Will use contact adhesive for attachment. Both sidewall and rear wall will get this treatment. Just have to find a new corner extrusion/trim to replace the existing one that terminates at sink unit. 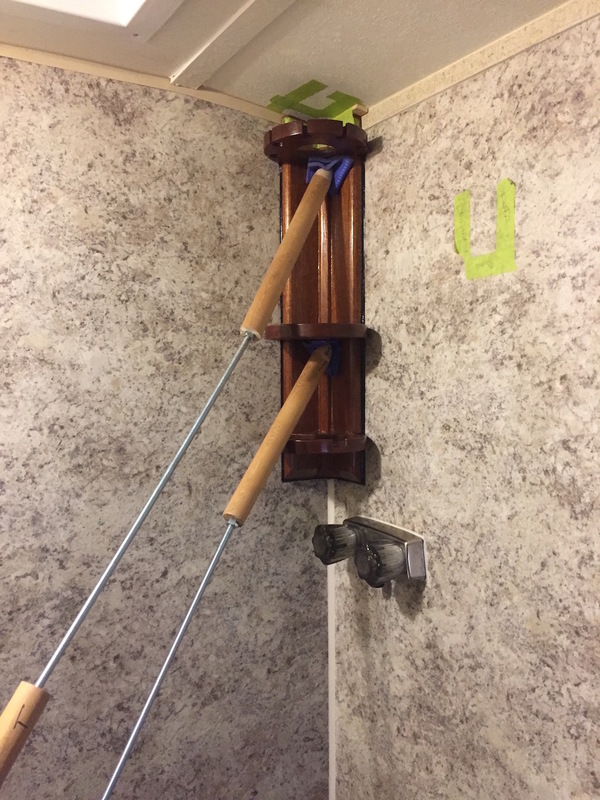 Second update: Cut and trimmed Formica to fit rear wall and half of sidewall to cover waste pipe access hole and various screw holes. Used contact adhesive to bond to walls. Cant seem to post pictures as the file attachment option suddenly seems to be missing.